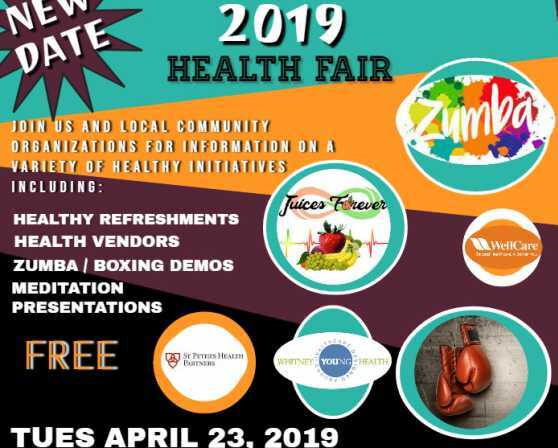 The Mayor's Health Fair will provide residents of the City Of Albany educational materials, resources, programs, and more to promote healthy living. The event will feature healthy refreshments, Zumba, boxing demos, and meditation presentations. 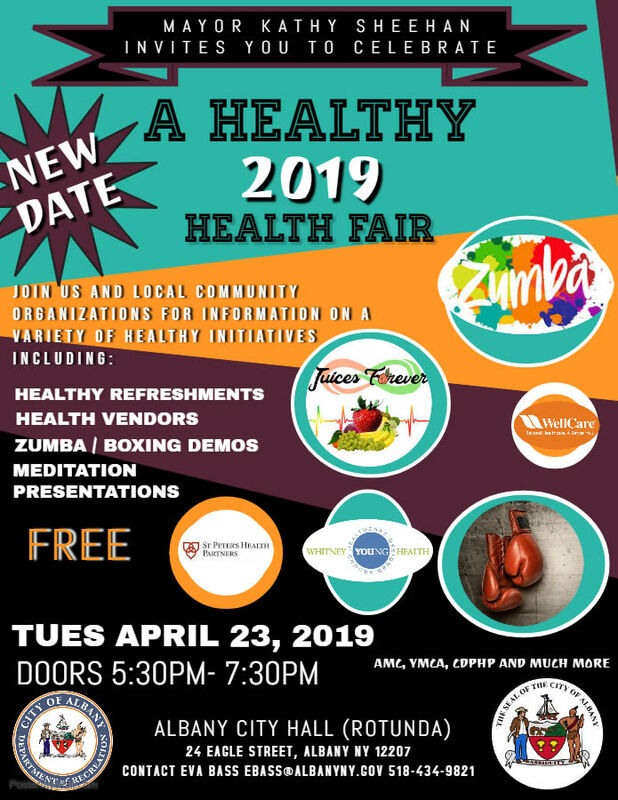 It will include vendors who will be promoting mental health, physical health, and environmental health from Albany Medical Center, St. Peters Hospital, Whitney Young, Catholic Charities, the YMCA, Albany County Health Department, WellCare, CDPHP and many more.